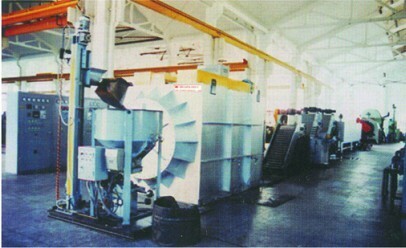 The production line adopts the advantages of the similar foreign fumaces and is successfully in China. Two furnace types are specially recommended. Applications: Used for the carburizing, quenching, rinsing and tempering of the rolling parts with diameter of less than30 steel balls etc. 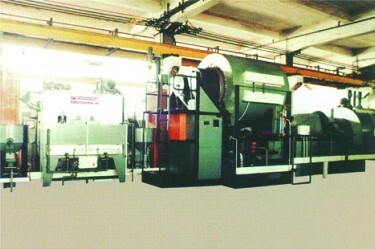 Features: The furnace is specially designed. The treated parts have bright and clean sufaces, uniform hardness and no decarburizing. Main Specifications and Parameters for the Arm-suspended Rotary Retort Type Resistance Fumace Heat-treatment Production Line . Main Specifications and Parameters for the suspended Rotary Retort Type Resistance Furnace Heat-treatent Production Line.